The UK is a fantastic destination for Aussie teachers looking to shake up their teaching career. With an abundance of schools looking to fill vacant permanent and supply roles, the UK gives Australian teachers new opportunities and faster career progression. Whether you want to work in the UK for just a few years, or are looking to relocate permanently, let Teaching Jobs London and Engage Education help you find the best teaching job for you. With over a decade of experience, you can trust our relocation experts to handle the entire process, so you can relax and look forward to your new adventure! Teaching in England is a great way to get experience, especially when you’re just starting out in your career. Our great partner schools are looking for bright new teachers to fill their long-term and permanent full-time vacancies and in return offer great training opportunities on the job. For teachers who excel in their new careers, schools in the UK are also able to offer faster career progression than you could expect back home due to a favourable teacher to vacancy ratio. The UK is steeped in history and culture for you to explore on your new teaching adventure. With Europe right on your doorstep and discounted travel with our partners STA Travel, you’ll never be short of things to do during the school holidays. When you relocate to England, you’ll be joining a huge community of Australian teachers who have made the jump to teaching in the UK. You’ll be able to get tips and advice from established Aussie teachers working in England, as well as form new friendships with Engage’s organised social events. You’ll be feeling right at home in no time at all! 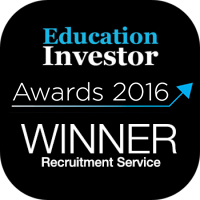 iday is a global revolution in teacher recruitment. We’ll fly you from anywhere in Australia to London and provide free hotel accommodation for a week, so you can attend this award-winning event. You’ll have a day of interviews with schools which are hand-selected for you based on your skills and requirements, and spend the remainder of the week visiting the schools to see if they’re the right fit for you. It really works too – 94% of attendees return home with their dream job offer! Your personal consultants in Australia and the UK will work together to find your ideal teaching job in one of our great partner schools. With daily supply, long-term cover, and permanent roles available, you’ll find exactly what you’re looking for with Engage. Once you’re working in the UK, our relationship won’t stop there! With continued training throughout your time in England, we’re always on hand to make sure you feel supported to deliver the best educational environment for your pupils. When you get in touch with Engage, we’ll assign you your own personal Engage consultant from our local Australia office. Our Australian consultants are all former teachers with international teaching experience, so they’re best placed to give you great relocation advice! Once you arrive in the UK you’ll also have contact with a UK-based consultant, who will offer you relocation support and be your first point of contact for any questions you have about your school, working in England, or anything else! Once you’re working in your dream school, our support doesn’t stop there. Our Teaching & Learning Partnership team is made up of former SLT-level teachers who are on hand to liaise with you and your school to pinpoint any areas for further development and will work with you to create tailored CPD sessions to help you be the best educator you can be. We also have CPD sessions held at multiple locations around the country which are free to attend for all teachers that cover a variety of supplementary topics. We understand that there are times when teaching seems too much to handle, especially when you have recently relocated to a whole new continent. That’s why, when you become an Engage teacher, you’ll be signed up to our Employee Assistance Programme with our partners at the Education Support Partnership. The Employee Assistance Programme gives you access to 24/7 wellbeing support, face-to-face counselling sessions, financial and legal advice, and a host of other support benefits for when you need them. "I couldn't have moved myself to the UK without the consistent guidance and help from the team at Teaching Jobs London. They were phenomenal!" "Teaching in London was wonderful and I feel it really made my resume stand out from others to potential employers when applying for jobs after returning home, and I gained a great role straight away at PLC in North Sydney when I got back from my time in England." "Teaching Jobs London has been absolutely amazing in getting me set up and organised to move and teach in the UK. They are very efficient and always are at the end of the phone for any questions or queries I had." 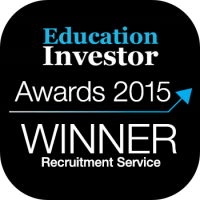 "Teaching Jobs London and Engage have been incredible. I have never felt so supported in making such a big decision in moving from one country to another. They have given us great resources and helped us make great decisions. Thanks to the great team! " "Teaching Jobs London has helped me so much this year, I wouldn't be in the UK teaching right now if it wasn't for this company so if you're unsure which company to go with, give them a call!"